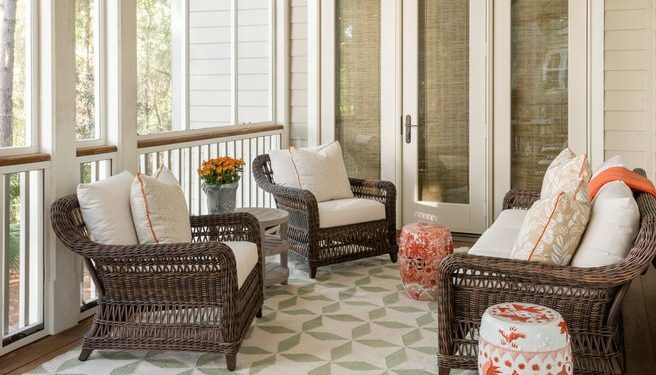 A Carolina couple has a wonderful spot on their porch that is perfect for relaxing and breakfast, a vacation spot for the entire family. 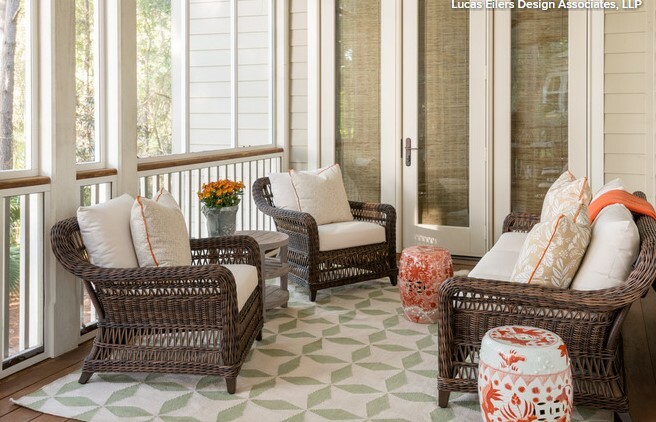 The size of the porch is 420 square feet and was designed by Lucas Eilers Design Associates. The home was needed since the owners live in Houston, with 2 grown children living on the East Coast. 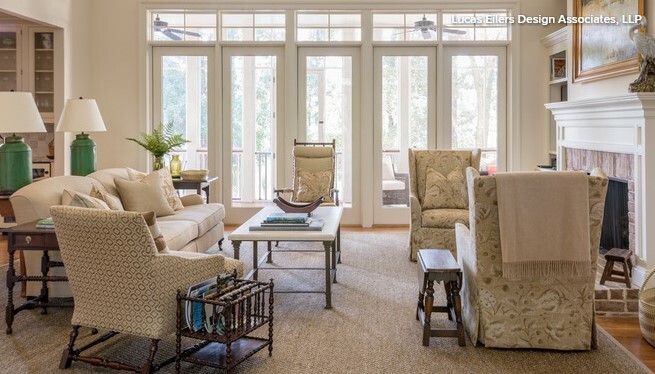 A family gathering spot was needed so this home became that, also being used for special events and long weekends. The porch was quite frequently used so the designers were hired to make it even more special. In the layout of the home the porch is located in the back part of the home, close to the master bedroom, the dining area and the living room. Interior design scheme is neutral so this was continued but there were orange bursts put in so that neutrals can be liven up. Before the makeover the porch looked a lot like a cabin. A coastal design would have been a lot better for the location of the home. An interesting addition besides the dining table and chairs is the sofa. Materials are perfect for outdoors, of course. A ceiling fan was put in place and some screens were needed to remove unwanted pests. 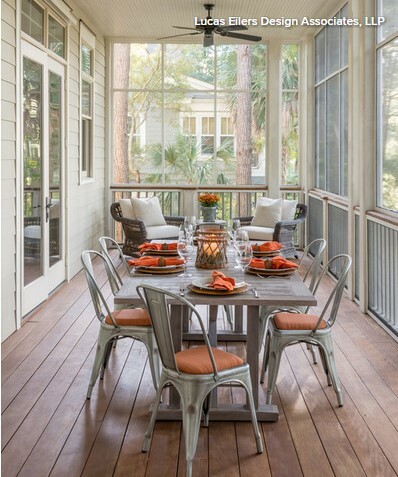 The result was basically a Southern low country style porch.